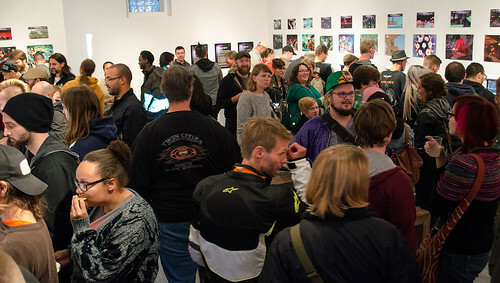 Dream Arcade is out, and the opening reception was a huge success! 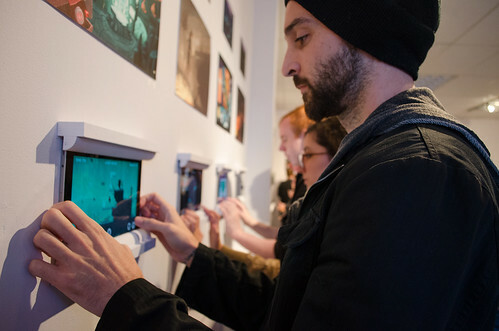 Massive thanks to everyone who made it out to the gallery to play the game! It was a loud and boisterous event (just like any good arcade always is) filled with games, food, chiptunes, laughs and more games. 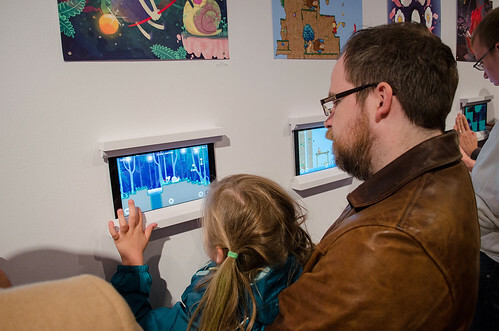 A small crowd had gathered at the door before the event, and as we opened the door, they flooded in and instantly took to the 27 Windows Surface Pro 2 tablets mounted around the walls of the gallery, each running one of the unique Dream Arcade levels. 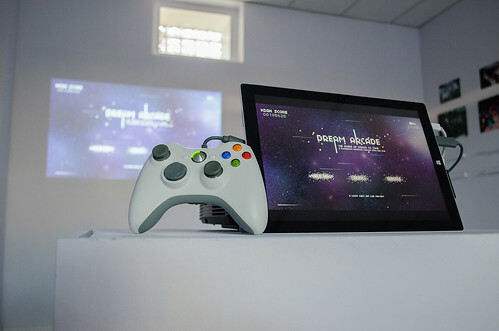 In addition, we had Dream Arcade projected on the back wall, playable with a full-size arcade stick for those brave enough to show off their platform skills to the crowd! Despite the Light Grey team having been up for the previous 40 hours putting the final touches on Dream Arcade, the event was a lively blast of retro love and we were invigorated by the passion everyone brought to the opening! 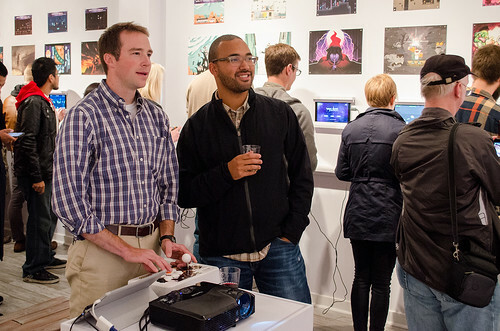 You can view more photos from the opening reception on our Dream Arcade Flickr set. You can download the game from the Window Store right now, or play it online here! Once again, thanks again to all of the artists, collaborators, and supporters!